Lester Maddox and William Dyke, the former mayor of Madison, Wisc., are pictured on this third party jugate. 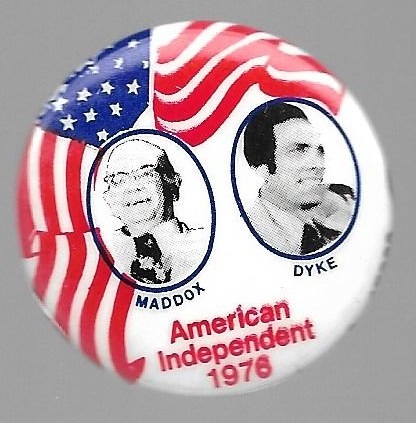 It's a 1 1/4 American Independent Party jugate from 1976. Excellent condition.